Not a huge amount has changed in the version of Kanto in Pokemon Let’s Go Pikachu and Eevee, but one feature happily missing from the old games are Hidden Machines – HMs. These cumbersome moves are gone, but their overworld functionality has been replaced with secret techniques – one of which, Sky Skim, replaces the absolutely essential Fly HM. Here’s how to get it. All of the old HMs have been retired, and that means there’s no longer a need to keep around a weak Pokemon to act as your HM carrier, or worse burden your actually high-quality battling Pokemon with these less-useful abilities. Back in Pokemon Yellow you’d need HMs, of course – many were vital for traveling the overworld at all, while others, like Fly, made getting around places you’ve already visited a whole lot easier. In past games the Fly HM or TM could be taught to a specific Pokemon on your team, then, but here your partner Pikachu or Eevee takes on the mantle of flier without you having to endure it taking up a battle move slot. Here’s how and where to learn it. 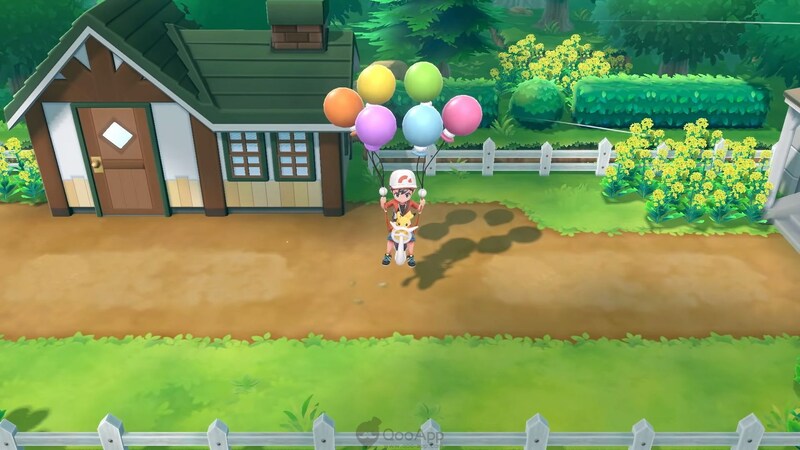 The Fly secret technique Sky Dash is actually unlocked naturally throughout the course of Pokemon Let’s Go, though unlike some secret techniques it can also be easily missed as you work your way through the game. An NPC appears at a specific point in the story right in your path, but if you’re in a hurry you may dash straight on past him and miss out on this secret technique. You might also be looking at this page early to find out how soon you can get Fly – if so, be patient, tut tut! But really – here’s how it works. Sky Dash is found around three Pokemon Gyms into Pokemon Let’s Go, after you’ve visited the Pokemon Tower in Lavender Town for the first time and found yourself turned away by a giant ghost. This will send you off towards Celadon City and the hidden Team Rocket HQ. Inside you’ll have to solve puzzles and defeat Team Rocket members including their leader, Giovanni. Once you’ve done that, leave the Gaming Corner – the site of Team Rocket’s secret base – and you’ll now see a man sitting next to a weird machine that looks like a bicycle with balloons attached. It’s shown off in the screenshot above. This is actually his flying machine, and it’s this that Pikachu or Eevee will help you to pilot to fly around the map. As we said earlier, you can walk straight past this guy, but make sure you talk to him. This will unlock Sky Dash, which functions the same as the Fly HM in past games – it lets you quickly fast travel to any city you’ve previously visited by flying across the map of Kanto. To use it, simply open up your Play With Pikachu menu and then press Secret Techniques – once learned and unlocked, the option appears there.